Perfect for a cold fall night! I can’t believe it’s November. We finally had our first real cool night, so that is making it a little more believable that it’s not summer anymore… but this year is just flying by! I’m okay with that if it means more pumpkin in my life. 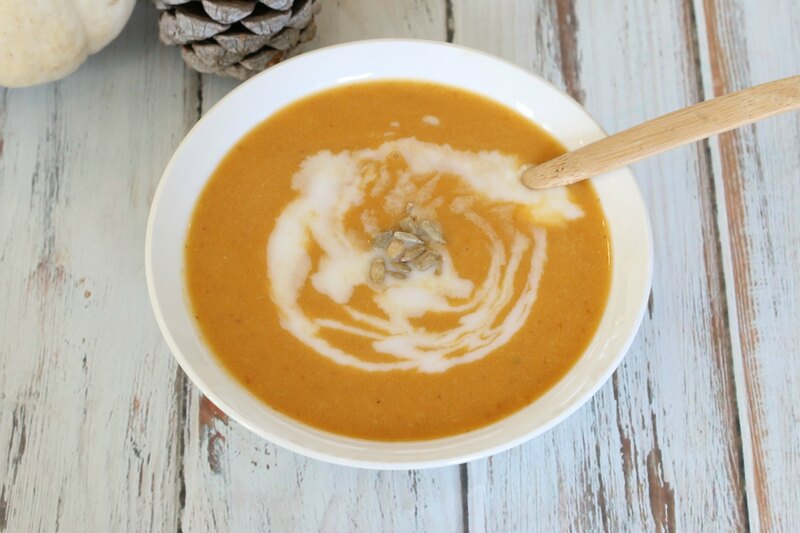 I like sweet pumpkin treats, but I like savory even more and my Creamy Coconut Pumpkin Soup is amazingly easy to make and not at all sweet… but it’s still a treat! 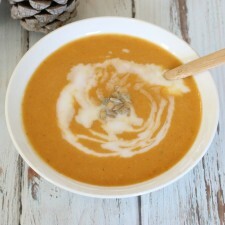 My mom has been making her famous pumpkin soup for years and we look forward to enjoying it each year. This year I decided to make my own take on it and add a little tropical flair to it. It turned out just as I hoped it would and it’s even vegan, paleo, and still creamy. The coconut adds so much depth to the soup and under tones of a tropical vacation. It also just tastes good. 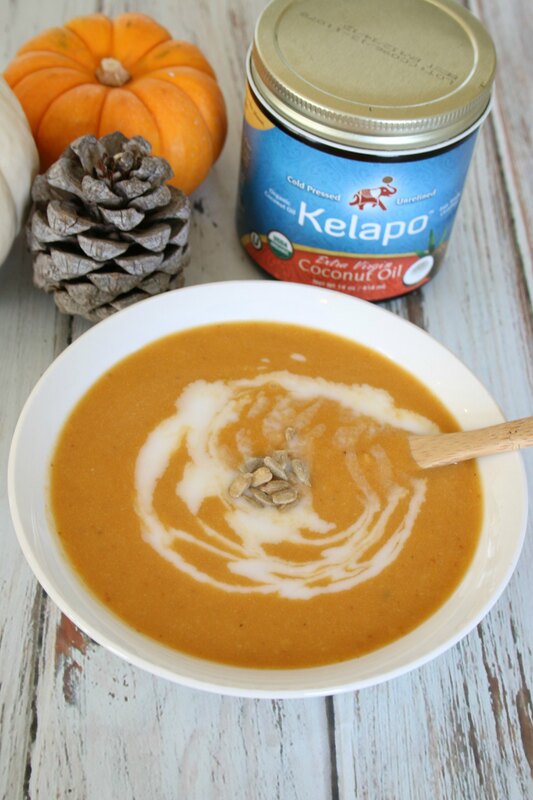 Ever since I started cooking and baking more with coconut oil my whole family has decided they love the taste of coconut too… so I had a feeling this would be a big hit with them and I was right! I like to eat this soup warmed up the day after I make it because the flavors have more time to develop. My oldest loves to eat it cold as a chilled soup the next day or as soon as it’s cooled off. Either way it’s a keeper and will now have a permanent place in our fall meal lineup. 4 cups of canned pumpkin (not pie filling) Homemade is great too! 1. In a sauce pan saute onions in Kelapo Coconut Oil.When the onions are soft puree them. 2. Pour the onions and Kelapo Coconut Oil back into the sauce pan. 3. Add all the other ingredients and heat thoroughly, stirring often so that it doesn’t burn at the bottom. 4. Simmer for half an hour. Serve right away or save it for later.